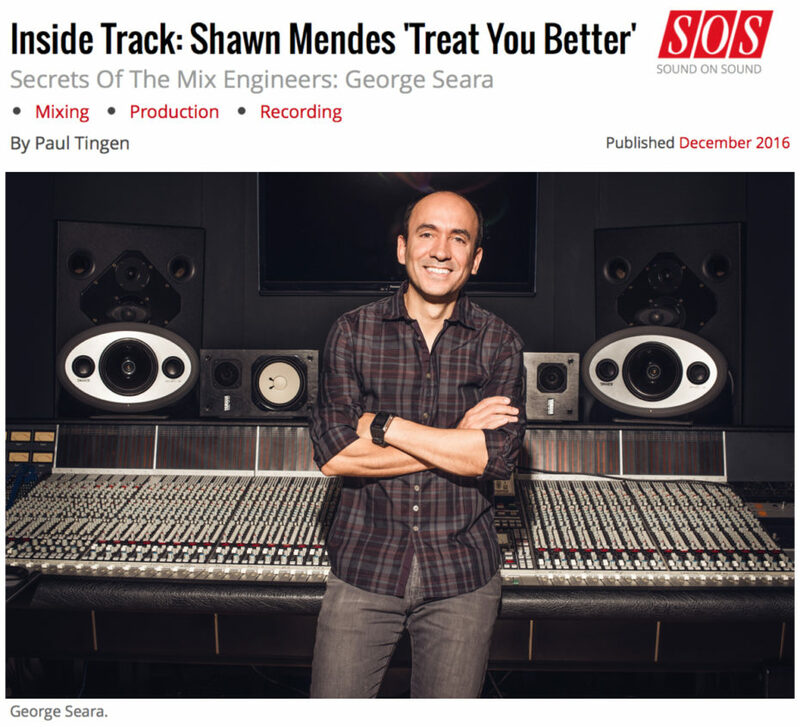 George is featured in UK-based magazine, Sound on Sound, Inside Track: Shawn Mendes ‘Treat You Better’ Secrets Of The Mix Engineers. Sound On Sound is the world’s premier music recording technology magazine. Based in Cambridge, England and independently-owned, SOS Publications has been delivering the quality monthly print magazine since 1985. It’s website attracts approximately 3M readers monthly.